Some of my bedroom projects have not gotten done. There are some very good explanations for this. Jenny: Mom, why is it that when I come in to give you a hug, you ALWAYS give me jobs to do? Sorry, I just overheard that and had to share. Moving on. That wooden thing is an ambiguous piece of furniture that I got with my guest bed when I lived in Colorado. Back then my parents were financially responsible for me and so I could afford things like guest beds. It might be a nightstand or a or a coffee table or a movable shoe organizer or a fun thing to roll yourself down the hall on. I’m not sure. 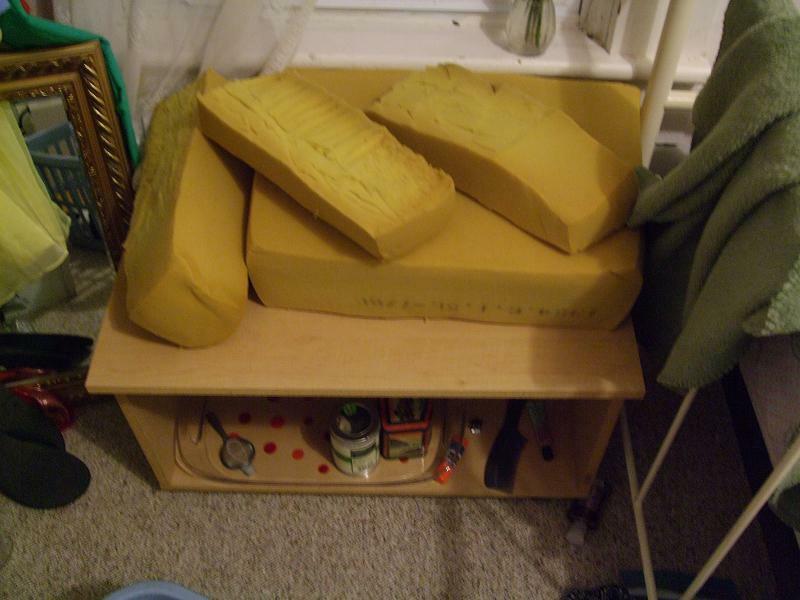 The pieces of foam on top are from a HIDEOUS HORRIBLE old chair which drifted from the living room to the girl’s room to the boy’s room, the older and grosser it got. It eventually got thrown away because it was too ratty for even the boy’s room. BUT, thrifty old me, I saved the seat cushion. After cutting away the gross stained upholstery fabric, I took the foam underneath and cut it into the shapes you see above. 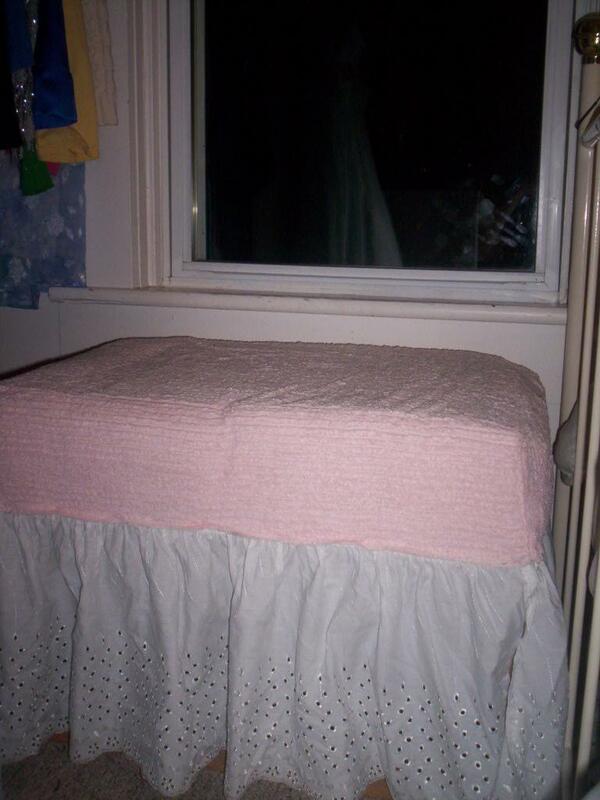 After hand-sewing the pieces together into a shape that fit the table top, nabbing some pink fabric and an old bed-skirt from Mom, and working a staple gun for the first time, this was the result. A window seat, fitting snugly between my bed and my closet. But that isn’t all. This beauty also plays music. 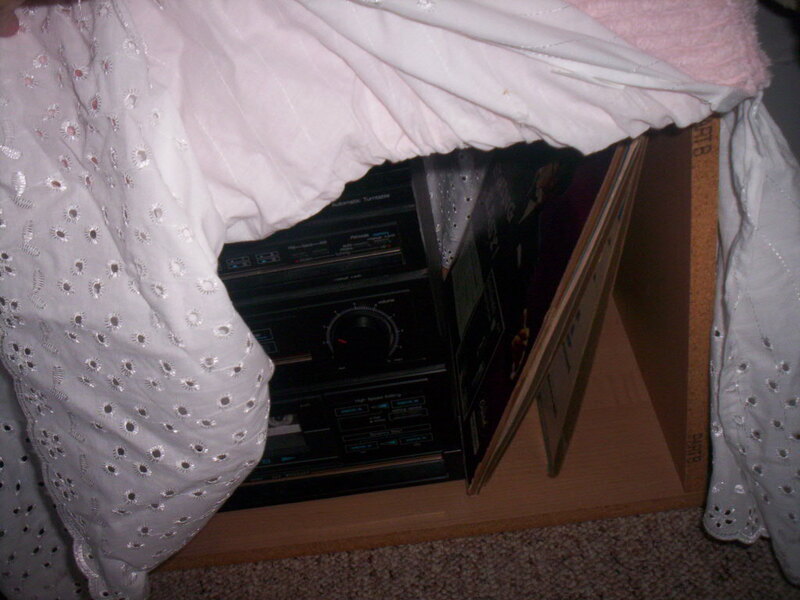 Underneath is a big record player/tape player/radio and my five records. My brother Ben gave me the record player. He used it to listen to sports for years, but the thing was way bigger than he needed. In other sweet news, I now have a camera. Ben gave Jenny his cast-off camera, and so she gave me her cast-off camera. Ben’s cast off camera is about five years old. Does that give you any indication as to the quality of my newly acquired camera? Also, it is a Kodak, and one time a real photographer told me that Kodak is a terrible brand of camera to get. We have it at grocery depot right now, three for a dollar, mix and match with any other coke products. I remembered Mom talking about how she drank it back in the day, and it had one calorie and came in a pink can, which sounded incredably glamorous. 🙂 i would have rolled down the hallway with it. It is very nice. Do you have a sewing machine or do you use your mom’s? 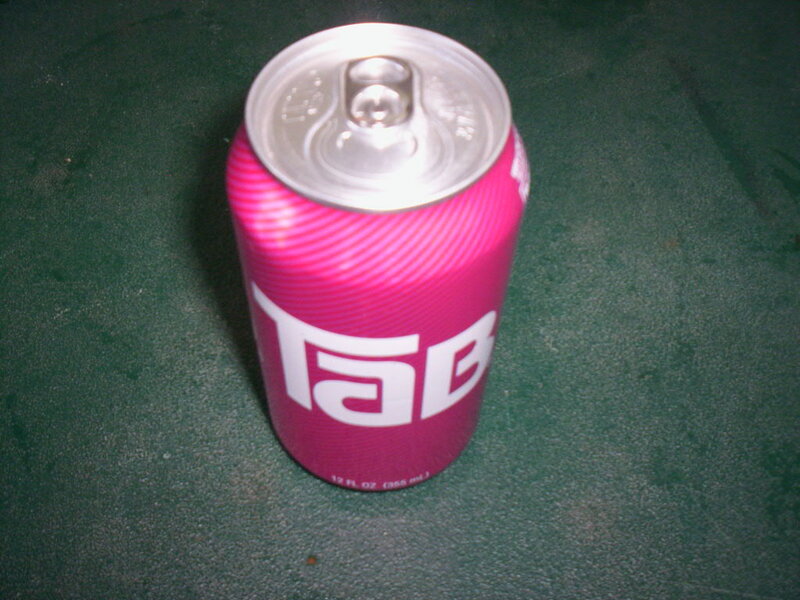 i’ve never tried TAB. What flavors are they? You can get me some and send it through Jenny if you think of it. Does it come in different flavors or just the one? Yes, you are very clever. I feel so happy to have seen it IN PERSON!